My good friend and basically the official Chocolate & Carrots editor (forgive me, I’m a math geek. 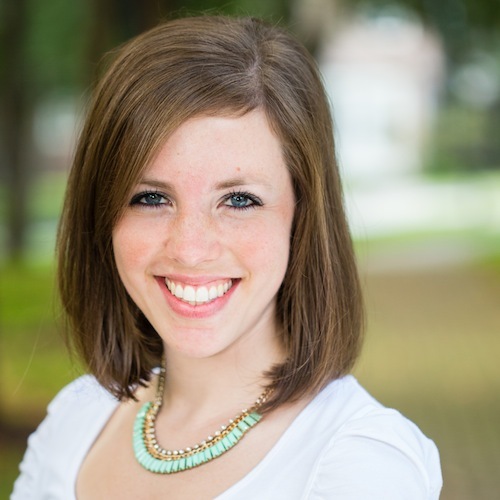 She’s the English girl who thankfully catches my mistakes), Erin, from Texanerin asked me to do a guest post for her. She too has the ‘chocolate & carrots’ motto of making desserts a bit more healthy! So, today I’ve made this rich and healthier fudge squares. Head on over to Texanerin for the post and recipe! Ahh, thank you so much for this recipe! Most fudge recipes have a fair amount of dairy in them, which means I can’t eat them, but this one is dairy-free! And no-bake! You totally just made my day. Thank you! Just saw your post at Texanerin – love it! Can’t wait to make and eat it all! 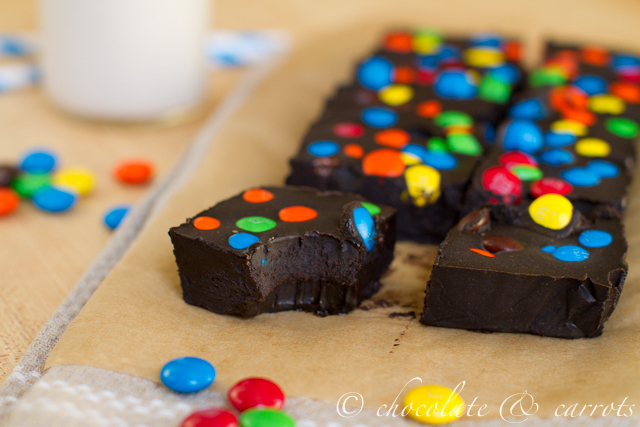 i LOVE the deep dark fudge and the contrast of the bright colored m&m’s! Love these!!! Checking out the recipe now. That must be the darkest fudge I have ever seen, so naturally, it has to be healthy. Anything with dark chocolate is considered health food. 😉 I will head over to the other blog for the recipe.